As we tend to offer a 1-2-1 service with everything we do, drop us an email about what and how you want to order. Give us your ideas and what you need and we’ll get back to you straight away. You can send us images and personal information (data) to use via email. Payment can be made online by credit card or for Commercial customers via invoice. We requested some luggage tags from you, Toni and I love the end product. 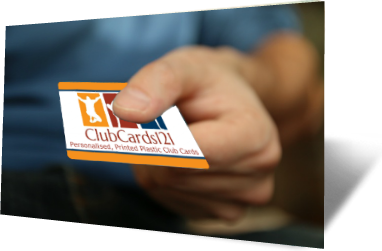 I would recommend Clubcards121 to anyone who needs luggage tags or plastic cards of any kind. A friendly and prompt service. Having a platform on the internet with our website as well as a loyalty scheme in our incorporated café, I was looking for a facility how to generate interest for certain promotions and combine the internet and our café clientele with the ‘shop floor’ promotions. Andy Neal suggested one of his loyalty cards what an ingenious idea. The service was second to none ... they made sure the journey was easy, affordable and I ended up with exactly the product I set out to have. I wanted to thank you for your professional and thorough analysis of my needs regards business gift cards and name badges. .... some excellent magnetic name badges for the Horsham Fairtrade Executive Committee .... the badges were ready within a very short timeframe and at a very reasonable cost. Everybody comments on how nice the cards are, and being plastic they have the added bonus of being waterproof and wipe clean. 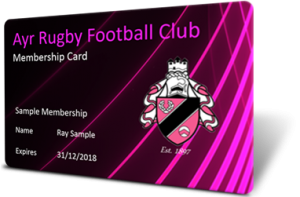 The cards are fabulous and so much more robust and professional than the stickyback plastic covered cardboard that we used to use. The product is fantastic and the service has been excellent, very impressed! The main gain for us is being able to control our match day gate successfully. We now know who are registered members. 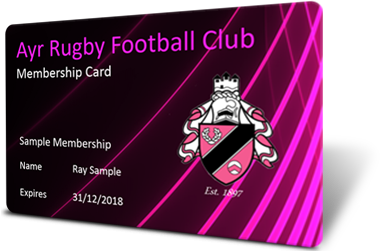 We also scan the cards so we have an idea of gate size and we are developing special offers with local businesses which will be accessed by production of Membership cards. We are delighted.